Long Beach - Mississippi Gulf Coast Real Estate | Owen and Co.
Long Beach is a city located in Harrison County, between Gulfport and Pass Christian, along the Mississippi Gulf Coast. 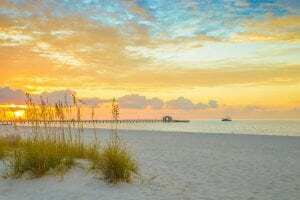 Incorporated on August 10, 1905, the city is part of the Gulfport-Biloxi Metropolitan Statistical Area, covering approximately 10 square miles, and currently home to more than 15,000 residents. Click on the photo to view Long Beach properties. In its early days, Long Beach was primarily an agricultural town which revolved around the radish industry. Eventually, the city moved away from its agricultural roots, gravitating towards tourism due to its close proximity to the beach. The city of Long Beach is known for its captivating scenery and laidback atmosphere. It is home to the Friendship Oak, which is quite fitting, as it is also considered one of the friendliest cities along the coast. Residents get to enjoy relaxing bike rides along the city’s bike-friendly roads and paths, and afternoons at the beach, where you can indulge in activities such as swimming, kite flying, beachcombing, and more. Schools in Long Beach are served by the Long Beach School District. The district administers five different campuses, which include: Harper McCaughan Elementary School, Reeves Elementary School, Quarles Elementary School, Long Beach Middle School, and Long Beach High School. Long Beach High School in particular is known for upholding a long-standing tradition of excellence. The school is one of four schools in Mississippi named as a National Blue Ribbon School, an honor it received from the US Department of Education in 2007. Long Beach High School offers a rigorous curriculum, which includes advanced placement classes, college preparatory classes, and award-winning vocational classes designed to prepare students for the future. Wind and Wave Festival – Long Beach’s sunny climate and high winds makes the city a perfect place to fly kites. Sponsored by Long Beach Main Street, the Wind and Wave Festival is an event that takes full advantage of this, treating locals and visitors to fun-filled day of kite watching, arts and crafts booths, food vendors, and other enjoyable activities. Southern Miss Jazz and Blues Festival – Usually held at the Gulf Park Campus in Long Beach during April, the Southern Miss Jazz and Blues Festival features talented jazz and blues musicians, an Easter egg hunt for kids, food vendors, and family-friendly activities. Christmas on the Avenue – Christmas on the Avenue is the city’s annual Christmas arts and crafts street fair. Taking place in downtown Long Beach, this event gives shoppers a great opportunity to look for unique handmade gifts, as well as other great gift items. Other activities include Breakfast with Santa, meet and greet Santa, and multiple performances from the Long Beach High School concert choir.